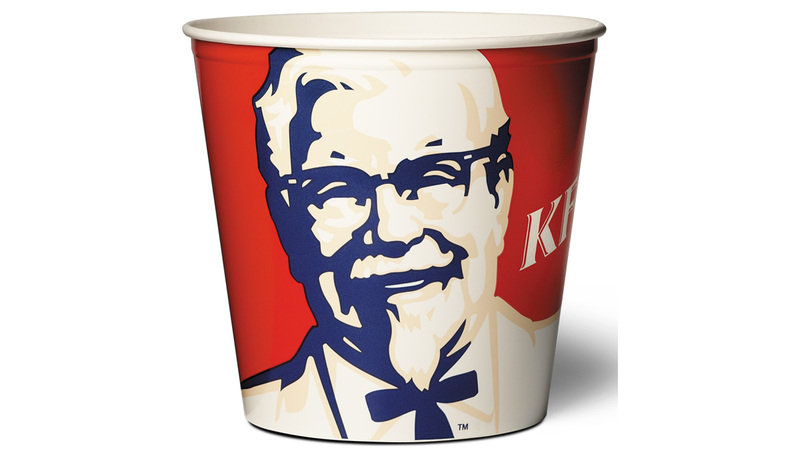 KFC needed a container for family meal portions. The folded carton option did not have the rigidity offered by a tapered, round convolute formed paperbpard container. And, the convolute containers do not leak. Because of the tapered design the opening is large enough for product to be easily selected. Buckets up to 1-gallon in size can be formed at speeds up to 100 cpm on a PMC 1300 model. Fast food chains are offering more and more healthy alternatives to their standard menu options and looking for container choices that are more sustainable. The PMC salad bowl provides solutions for both concerns. 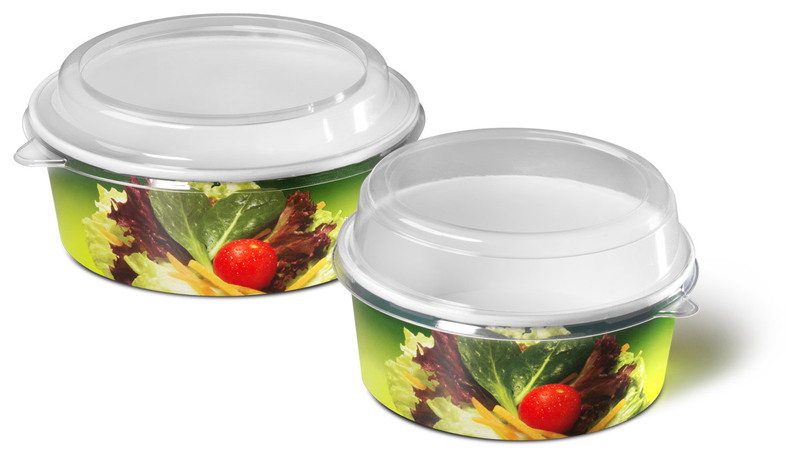 Formed from a pre-printed paperboard blank, these containers make it easy to eat on the go, won’t leak dressing and are environmentally sensitive. Containers are formed on a PMC 1300 machine model at speeds up to 120 cpm. When the fast food industry required an attractive, functional container for French fries and onion rings, PMC designed a unique package. 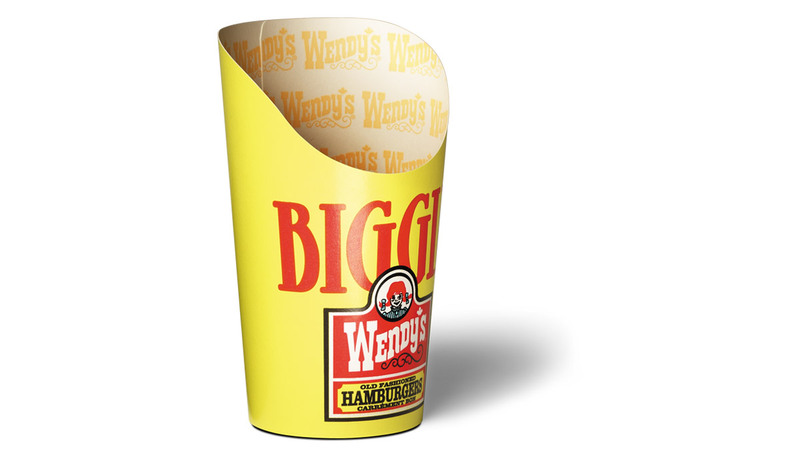 Product is easily scooped into this modified paper drink cup and the graphic appeal of printing on paperboard provides excellent branding and promotional opportunities. Cups are formed on either the PMC 2500S or PMC 1003 machine models at speeds up to 330 cpm.